Today I have something special for you. It's not my typical review. This review is a tribute—an homage to one of my all-time favorite book review blogs: Bookie Woogie. Like many tributes, it only holds a candle to the original. 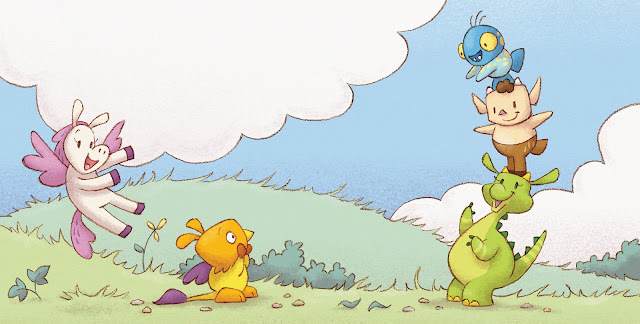 Aaron Zenz and his kids created Bookie Woogie, and now Aaron has come out with a new book himself, and Everead is stop #4 on the blog tour. More about that later. 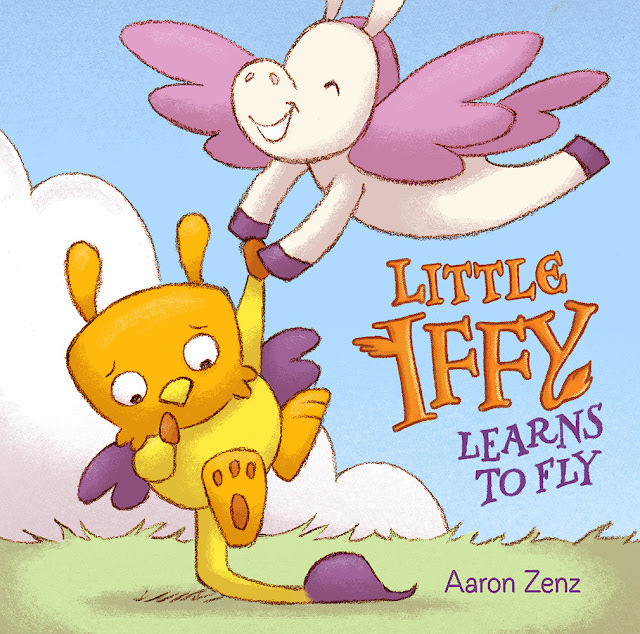 Mom: Ok, so today we are reading and talking about Little Iffy Learns To Fly by Aaron Zenz. 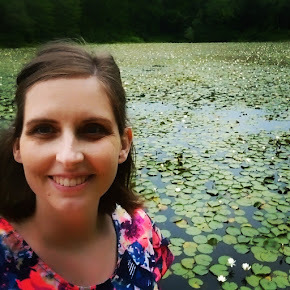 Do you know who Aaron Zenz is? Benjamin (age 9): . . .The author of Little Iffy. Mom: Ha. Yes. What else has he done that we know about? 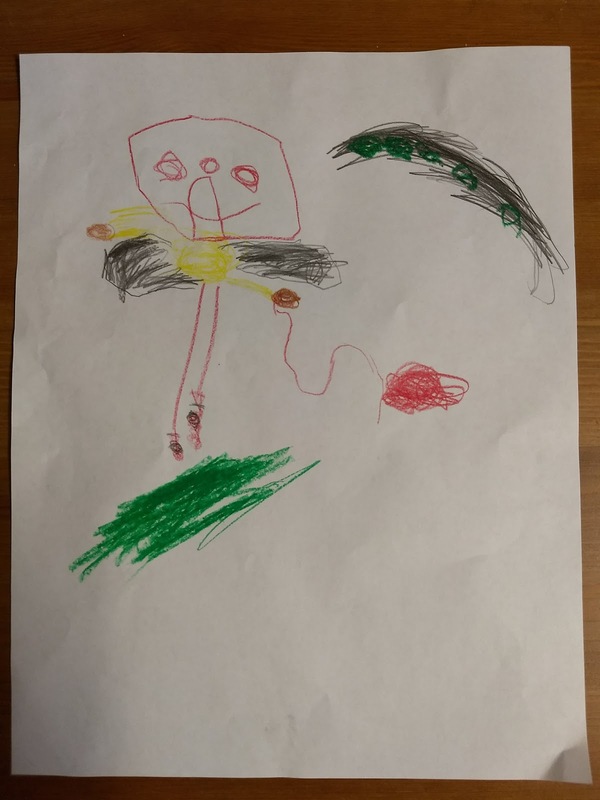 Jubilee (age 4): Make books! Mom: Haha! Yes! He did Nugget on the Flight Deck, and The Spaghetti Slurping Sewer Serpent. He illustrated those, but he has written and illustrated other books, too. Benjamin: Backup backup backup plan! Benjamin: That's why they call her Eggs. Because she's always hatching a plan. Mom: Ok so what do you think? Mom: What do you think of the story? Mom: Tell me what happens. Jubilee: They make Iffy fly. Levi (age 7): No, they don't they don't make him. Jubilee: Somebody sprangs him up! Mom: But it's by accident, right? Mom: What do you think of the pictures? Jubilee: Um. Well. Little Iffy, in this picture you see his mom and him and his balloon. In this picture, his friends are near and he is happy. Mom: Ok. Well, don't tell me about all the pictures. Just talk to me a little bit more about—What if you were Little Iffy? Jubilee: I would say "Don't worry, I'm going to learn it sometime. I'm going to do it, when I'm like, as big as you guys." Mom: Is there anything you are scared to do? That people want you to try but you've never tried it and it's too scary? Jubilee: Umm, sometimes at movies. Mom: So if this book was written about you it would be called Jubilee Learns to Watch Movies? Mom: Or Jubilee Learns to what? Mom: Jubilee Learns to Crochet. You're scared of crocheting? Mom: That's just something you want to learn, huh. Mom: What if this book was written about you, Levi? Mom:Well what's something you want to learn? Little Levi Learns to . . . Leap. Levi: Go down the fire pole. Mom: Little Levi learns to Go Down the Fire Pole. Nice. Mom: Hey Benjamin, if this book was written about you, what would the title be? Levi: BIG Benjamin Learns to. Mom: Big Benjamin Learns to ...what. Learns to skate. Mom: How about Big Benjamin Learns to Skate? Mom: Ok what's one thing you would say to somebody who's a little scared? Like Little Iffy is? Benjamin: Climb on a seesaw then have an elephant jump on it! Jubilee: I would say "Don't be worried, you can do it anytime. I have some plans to help you learn it. Benjamin: What if it's about crocheting?! Mom: What would you say to someone who is scared? Benjamin: Jump off a cliff. 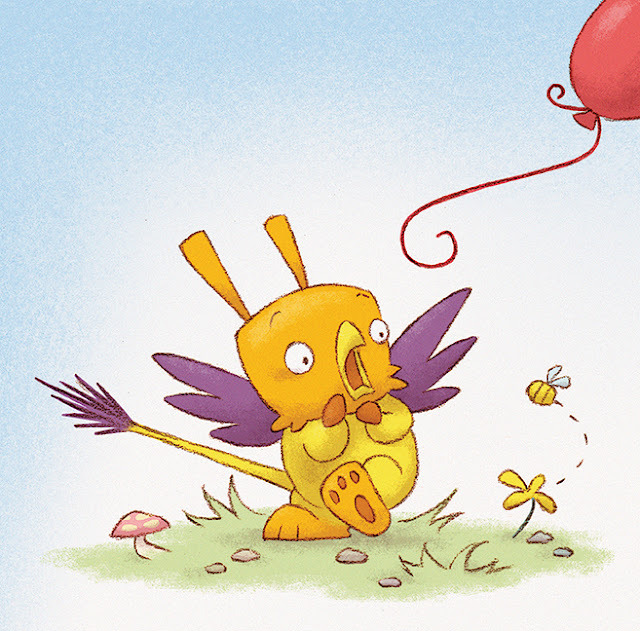 And, last but not least, here is some tribute art that Jubilee made of Little Iffy and his red balloon. If you would like to win a signed copy of Little Iffy Learns to Fly, you're in luck! I have one to give away. If you would like to shop for a copy of the book, you can click the cover, below.